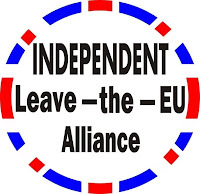 ~The EU, The ECB, The EUro, David Cameron, The Express & Nigel Farage’s Party Have Problems! Each in their own style!! it is increasingly clear that desperate situations call for desperate measures and clearly The EU and thus The ECB are increasingly becoming desperate! I had thought to fisk the letter but felt that readers would see through the many glaring loopholes wi8thout help! I note the Express paper’s petition has run into some difficulty as neither The Express nor Farage as they jumped on the band wagon seem to have actually considered the legalities and their petition seems to be invalid! Many will remember when UKIP leadership seemingly trousered some £1/4Million on a petition they failed to ensure was valid some time ago – will they never learn, or is it deliberate either as a money spinner for the leadership or just to assist The EU in an attempt to try to undermine the Petition for a Referendum campaign as featured not just in The Express as with Farage’s belated self publicity but the Nikki Sinclaire Petition campaign has had publicity in The Mirror, The Sun, The Telegraph, The Mail and many more and has reached its first target of 100,000 valid signatures as discussed in detail; with Parliament and the Downing Street officials with dates set for presentation already. Meanwhile The Express seems to have run off course into a sand trap with Farage’s Party as a pasenger hitching a ride! You will note that Cameron confirms that until 2013 Britain will assist in bailing out the EUro!! So we will be forced into the collapse but with no say! He boasts of a Bill that will be put to Parlaim,ent to ensure a referendum if the EU demands more authority is ceded – on the one hand he repudiates referendum and then enacts them through parliament – Flip Flop Policy? Then we are assured he has read and understood neither The ECA nor The Lisbon Treaty in which it makes clear there is no authority of substance at Westminster and Sovereignty on all matters of consequence are already EU authorities. 1. The Governing Council of the European Central Bank (ECB) welcomes the announcements made by the governments of Italy and Spain concerning new measures and reforms in the areas of fiscal and structural policies. The Governing Council considers a decisive and swift implementation by both governments as essential in order to substantially enhance the competitiveness and flexibility of their economies, and to rapidly reduce public deficits. 2. The Governing Council underlines the importance of the commitment of all Heads of State or Government to adhere strictly to the agreed fiscal targets, as reaffirmed at the euro area summit of 21 July 2011. A key element is also the enhancement of the growth potential of the economy. 3. The Governing Council considers essential the prompt implementation of all the decisions taken at the euro area summit. In this perspective, the Governing Council welcomes the joint commitment expressed by Germany and France today. 4. The Governing Council attaches decisive importance to the declaration of the Heads of State or Government of the euro area in the inflexible determination to fully honour their own individual sovereign signature as a key element in ensuring financial stability in the euro area as a whole. 5. It equally considers fundamental that governments stand ready to activate the European Financial Stability Facility (EFSF) in the secondary market, on the basis of an ECB analysis recognising the existence of exceptional financial market circumstances and risks to financial stability, once the EFSF is operational. 6. It is on the basis of the above assessments that the ECB will actively implement its Securities Markets Programme. This programme has been designed to help restoring a better transmission of our monetary policy decisions – taking account of dysfunctional market segments – and therefore to ensure price stability in the euro area.